ESTE SABADO 8 DE AGOSTO! 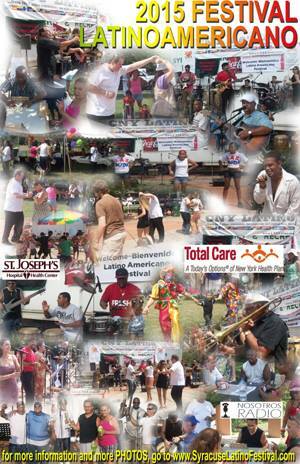 WE NEED MEMBERS TO VOLUNTEER at the SYRACUSE LATIN-AMERICAN FESTIVAL between the hours of 12 noon to 5PM. The festival will run from 12 to 8PM and will take place at the Ward Bakery Park in the SYRACUSE Westside area (across from La Liga) VoLunteers can register to help with outreach for one or two hour shifts. Call (315) 882-8335 (Chris) or (315) 657-6799 (Rebecca) to register to volunteer.